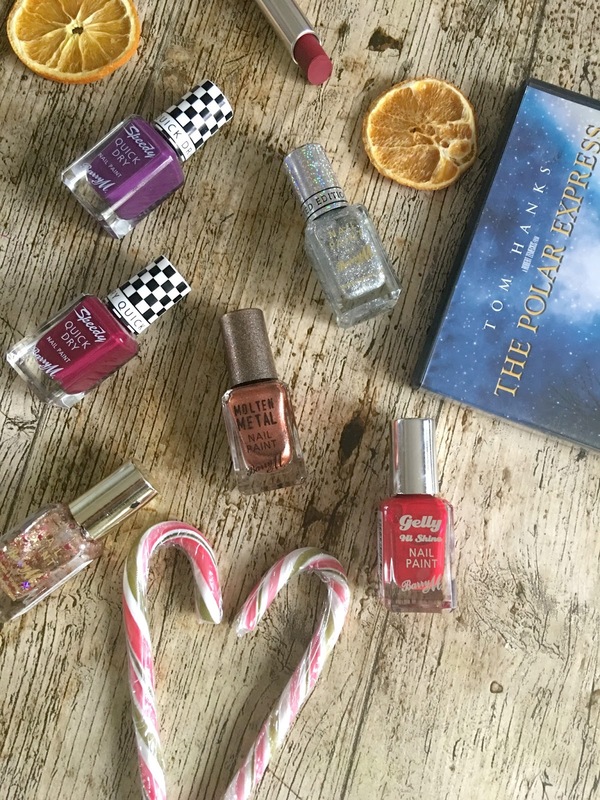 today's post is all about my favourite Winter/Christmas nail colours, for Christmas time I get pretty traditional with my nail shades. 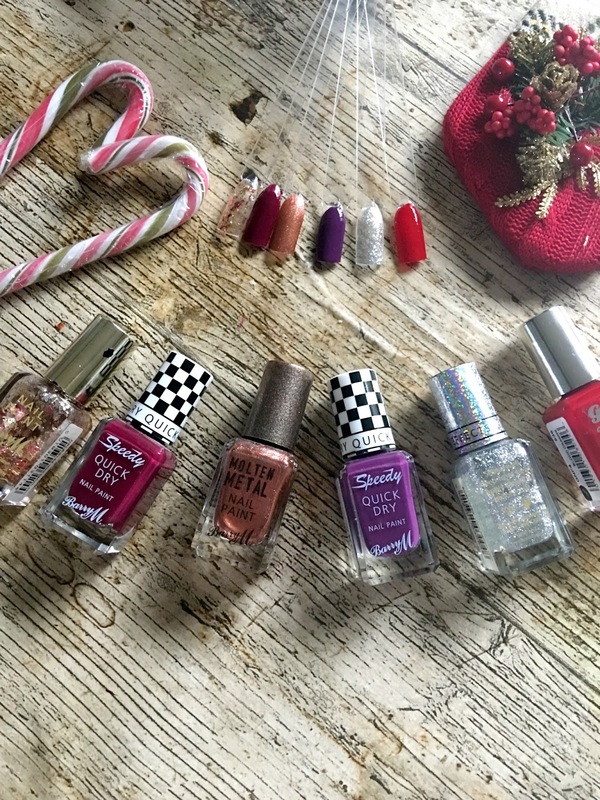 I love proper Christmas colours of reds, purples and metalics, and its probably no surprise my favourites are from good old Barry M, my all time top nail polish brand, I love the variety of colours and finishes they have and especially the speedy dry ones, cause a girl ain't got no time to sit about waiting for her nails to dry. First up I have the gold glittery top coat, I bought this last Christmas and I'm not sure if they still do it, but I love it for adding a touch of sparkle to an accent nail. Next up is Sprint finish a quick dry polish my fav kind in a gorgeous burgundy colour, you can read my full review here, its perfect with the gold glitter. 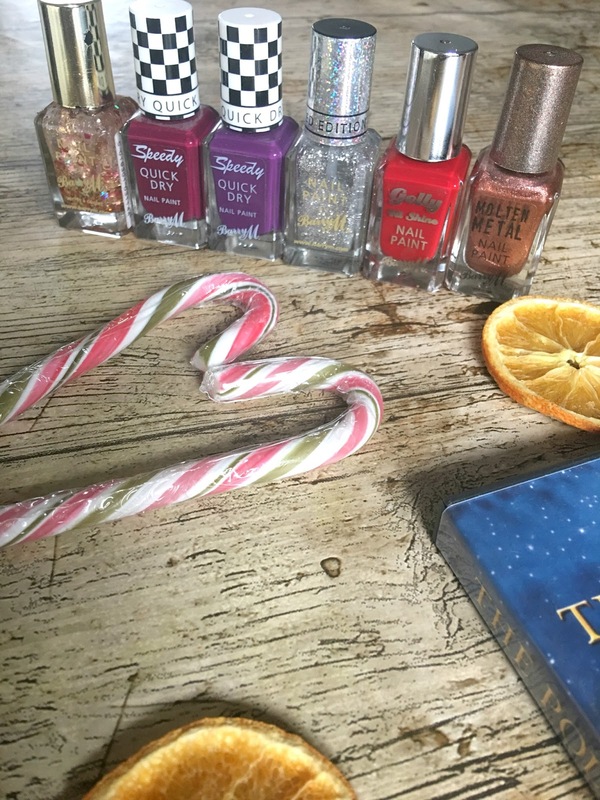 Now onto Copper mine my top nail polish purchase of the year I bloody love it, its super pretty and stays on ages, I reviewed it here. Now for a bit of purple slip stream reminds me of quality street purple and anything that reminds me of sweets is a good thing, right? Then there is more glitter in the form of this Diamond glitter polish again great for accent nail and looks super festive with the purple slip stream. Last but by no means least is a traditional red blood orange in the lovely gelly finish which I love as its super glossy and quick drying. 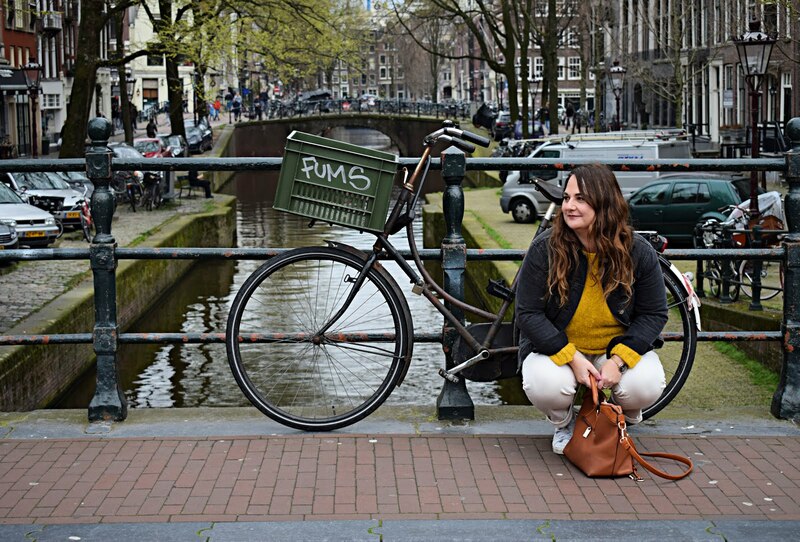 If you enjoyed this post please follow me on bloglovin I'm blogging everyday until Christmas. I am desperate to get my hands on the barryM Molten Metals collection - looks so beautiful on and I need more metallics in my life!